This Saturday, July 21, construction will begin on East James Street, paving the road from Central Avenue to Jason Avenue in concrete. After getting input from residents on social media and at a July 2 community meeting, the city opted to go with a 20-day full road closure rather than 60 days of intermittent lane closures. In addition to expediting the work, the 20-day road closure will save the city $200,000. Westbound traffic will be diverted at James and 94th to Canyon with local access only beyond 94th. Eastbound traffic on James will be diverted at James and Central over to Smith. After August 9, there will be about 10 days of intermittent lane closures for striping. Traffic controls and signage will be in place, and there will also be message boards at 104th and 240th to divert traffic north and south at 104th. 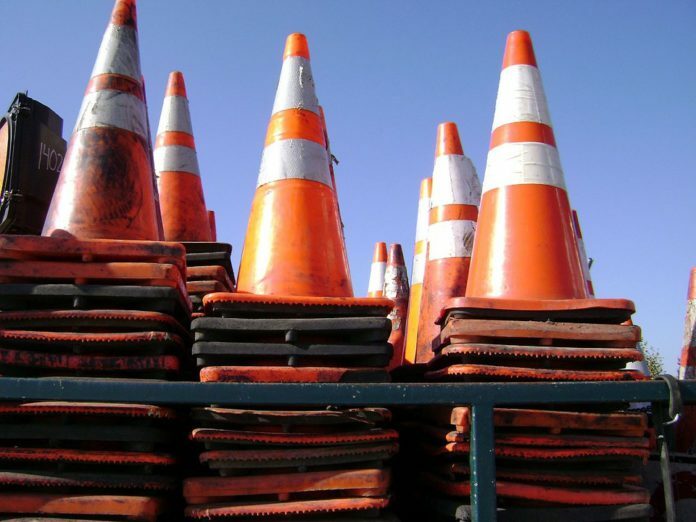 Drivers are encouraged to use 208th, Canyon Drive and 277th to get up and down East Hill during construction. Visit DriveKent.com and the city’s Facebook page for updates. Traffic Alert: James St full rd closure 7/21 to 8/9, 24/7, to replace failing asphalt surface with a concrete roadway surface. 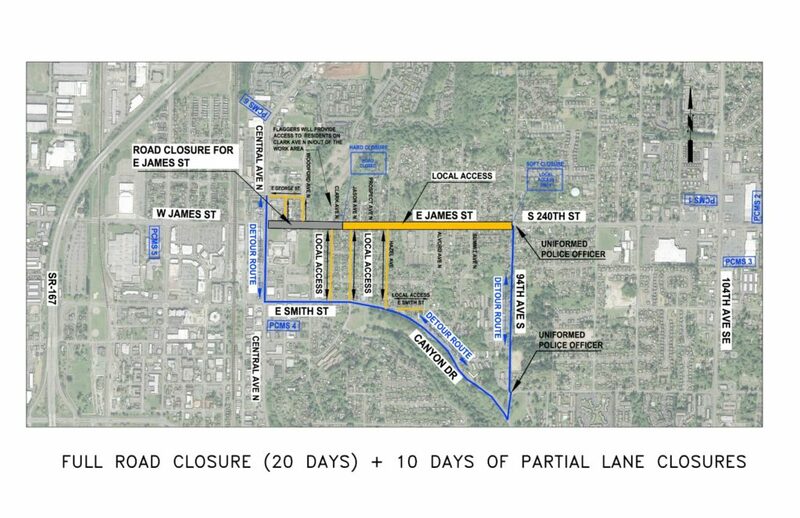 James will be closed between Central Ave E to Jason Ave; local access only west of 94th to Clark Ave.